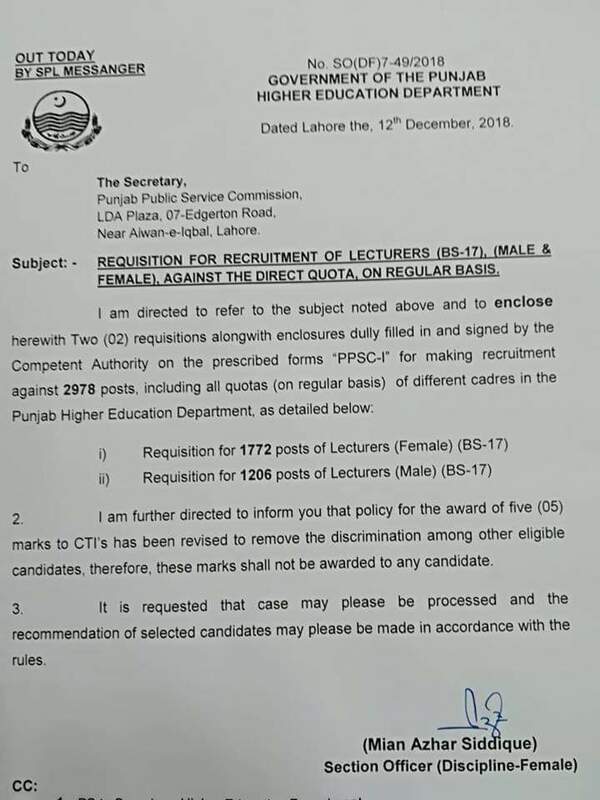 This Notification of PPSC Lecturers Jobs in Punjab 2018-2019 shared through Social media. 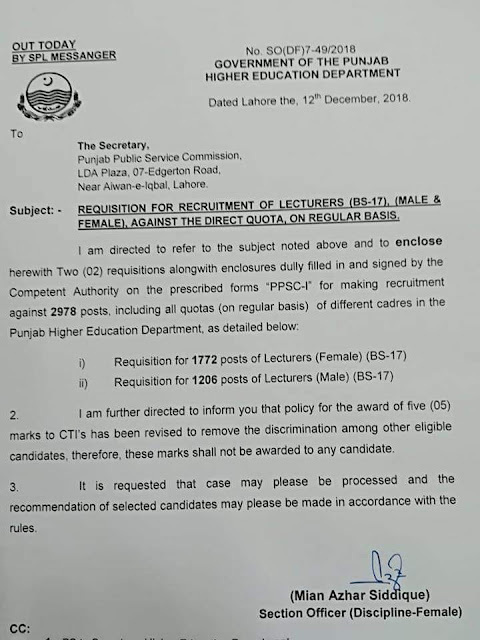 According to this higher Education department Punjab sent a requisition of Lecturers to PPSC for recruitment of 2980 Lecturers Jobs in Punjab 2019 for Male & Female. The process of recruitment hopefully will start with in 2-3 weeks.